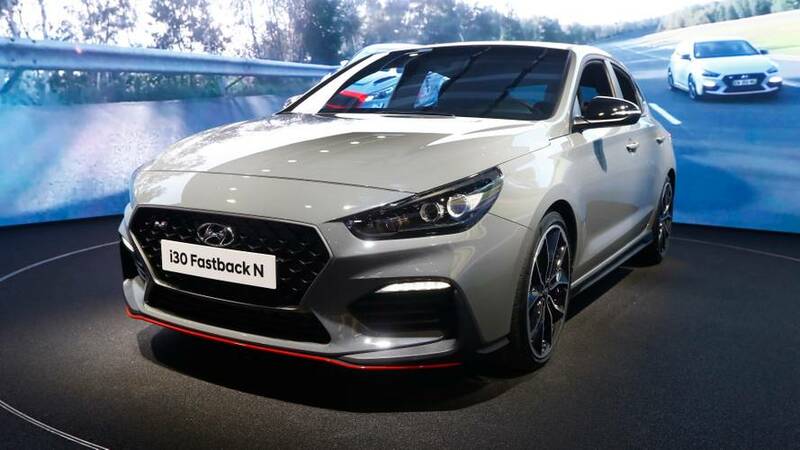 The third “N” model after the i30 N and the Veloster N, Hyundai’s brand spanking new i30 Fastback N is here as a more practical sports car without sacrificing any of the performance. Billed as being the “first five-door hot coupe in the C-segment,” the new member of the N family adopts the same aggressive design cues as the other two models, but adapted for the different body style easier to live with on a daily basis. At the heart of the i30 Fastback N is the already familiar turbocharged 2.0-liter gasoline engine, which will be available in two states of tune: 246 horsepower and 271 hp for the version equipped with the optional Performance Package. Regardless of the one you go for, maximum torque stands at 353 Newton-meters (260 pound-feet) or a temporary 378 Nm (279 lb-ft) with the overboost function activated. Power is channeled to the front wheels exclusively through a six-speed manual transmission. While the base model of the go-faster Fastback needs 6.4 seconds to reach 62 mph (100 kph) from a standstill, the hotter one slashes that time by three tenths of a second to complete the task in only 6.1 seconds. Flat out, both will reach a maximum speed of 155 mph (250 kph). The vehicle’s character can be altered courtesy of five selectable driving modes, as follows: Eco, Normal, Sport, N, and N Custom. The driver can choose his favorite setup by using the buttons mounted on the steering wheel, while the instrument cluster’s N mode screen menu extends the customizable settings by allowing the driver to fiddle with the engine, rev matching, and the exhaust note. Features reserved to the Performance Package can also be accessed from the N mode screen menu. 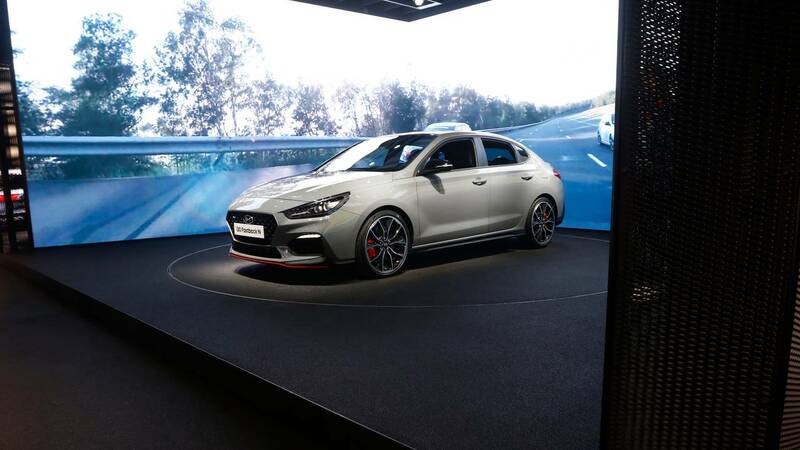 Even though it’s being unveiled today, the i30 Fastback N has already taken down a record thanks to professional Hyundai Motorsport drivers Thierry Neuville and Gabriele Tarquini. They competed against each other in a race between Rome and Paris. No, not Italy’s and France’s capitals, but the villages in western Denmark bearing these well-known names. In the end, Tarquini took the win by crossing the finish line in 8 minutes and 18.49 seconds. Apparently, this is a new record. Hyundai will have the i30 Fastback N on display starting next week at the 2018 Paris Motor Show.